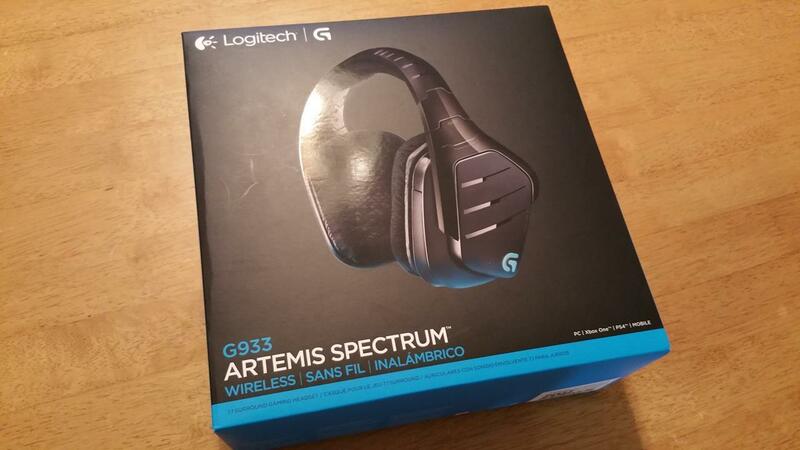 I’ve been enjoying a lot of the headsets that Logitech has put out in the past so I was pretty excited when Logitech sent me a pair of the Logitech G933 Artemis Spectrum to try out. I’ve heard they’ve done a lot in engineering solid performance out of it, so let’s take a look at their latest top of the line headset. 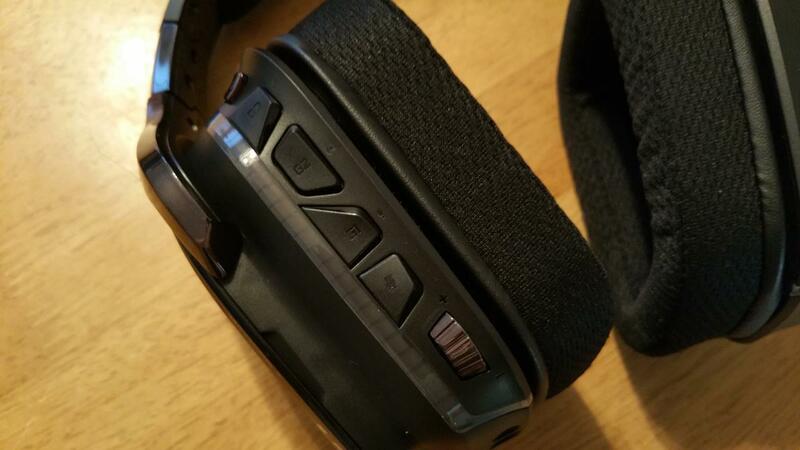 The design of the G933 is similar to Logitech’s past headsets such as the G35 or the G930. 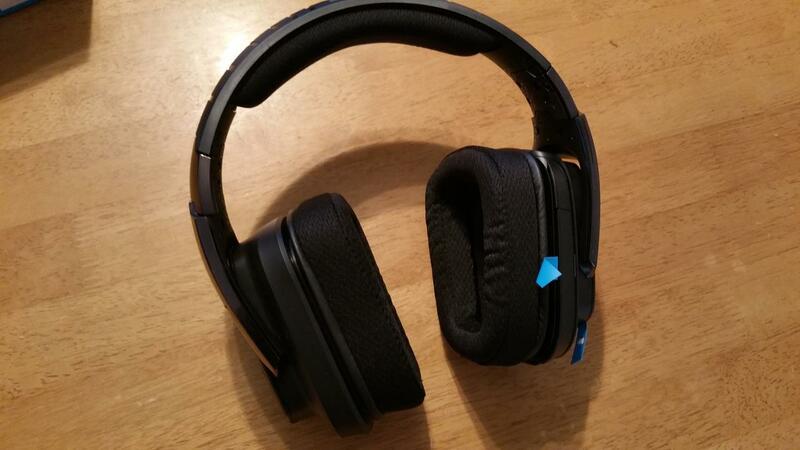 The over the ear headset has two large rectangular cups that are rotatable. 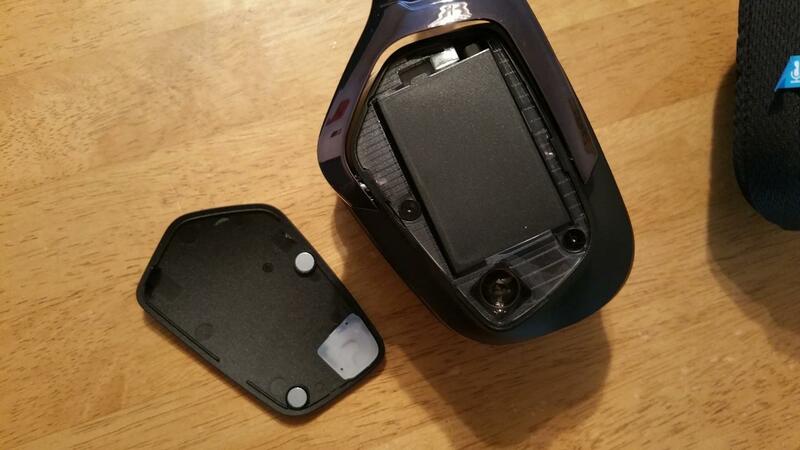 Both cups rotate 90 degrees so that you can lay the G933 flat on you if you have it hanging around your neck. Along with rotation, the cups can tilt a little inward as well. They are rectangular as opposed to circular, which some will like and some won’t. I personally don’t have a problem with either design. 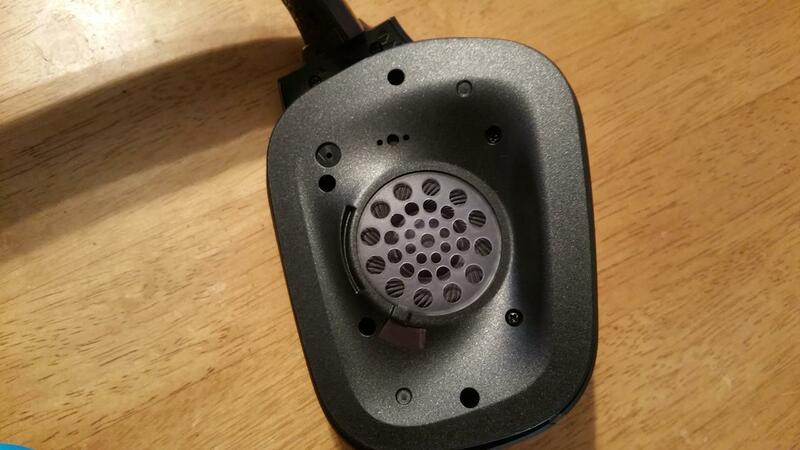 Inside are 40mm drivers that 20Hz to 20KHz with an impedance of 39 Ohms passive and 5K Ohms active. Each cup has nice cushy foam that molds well to the side of your face. I used them for long periods of time and had no problems.The arms for the cups is the metal band that’s similar to past designs. But, there are some aesthetic changes to make it a little different from past offerings. All the controls are on the back of the left cup. At the top sits the power switch with three programmable buttons underneath. Below those is a mute mic button and finally, a volume dial. The three programmable, or G buttons, can be assigned various functions like changing the voice or color of the lighting. They are shaped a little differently so you can kind of tell which one you are pressing by touch. On the left cup is an adjustable noise cancelling microphone. 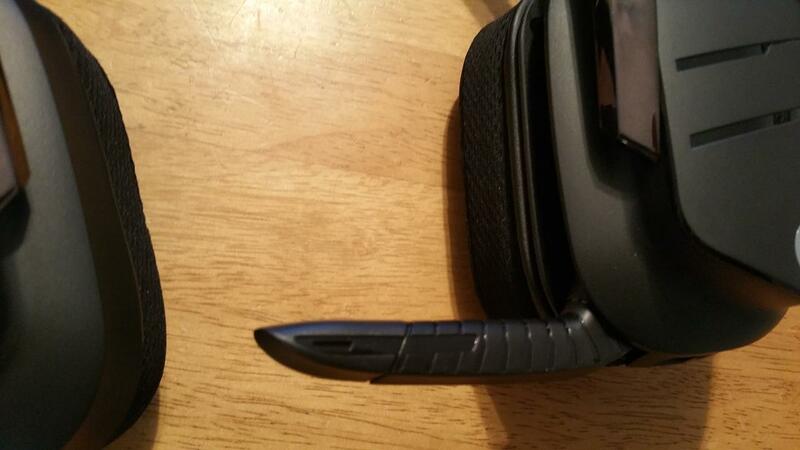 The mic can be hidden out of the way when folded up. Flipping it down will activate the mic and you can extend it as well as do some minor bending of the tip. There’s also a small red light on the end to let you know if it’s muted or not. What’s nice is you can flip the mic up slightly to mute it and flip it back down to unmute. 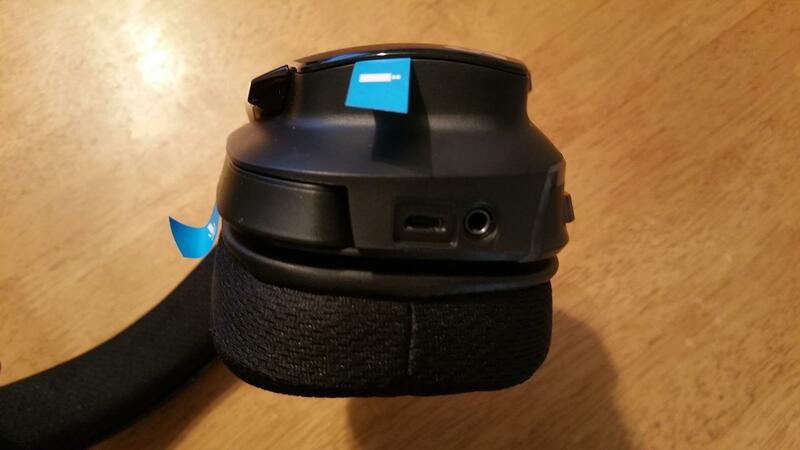 You can also use a button on the rear of the left cup to mute as well, giving you a few options to silence your voice with the headset. A big selling point for the G933 Artemis Spectrum is the fact that it’s wireless. The USB dongle can be stored in the left cup. Just pull the magnetic cover off and you have access to it. The design of having a place to store the dongle there is pretty slick and helps you not lose the it when not in use. Something really unique about the dongle is that it allows you to turn any source with a 3.5,mm connection into a wireless transmitter to the G933. Just plug the audio cable from one end of the dongle to the, say something like a MP3 player. 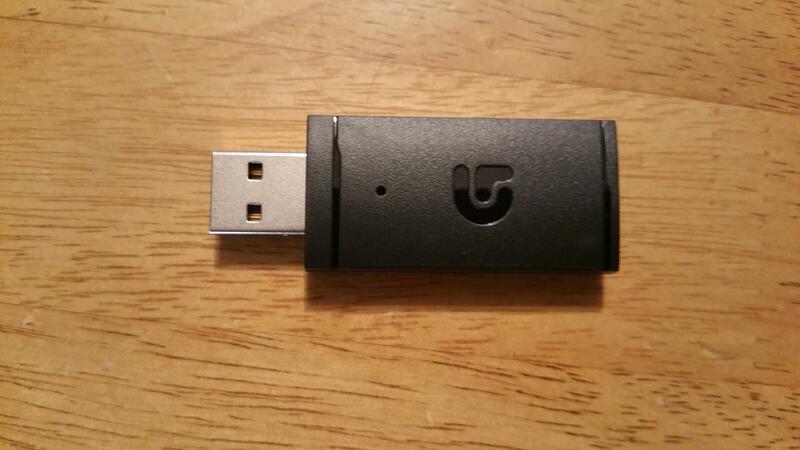 Plug the USB part of the dongle into a power source such as a battery bank. Press play on the MP3 player and turn on your G933. You’ll be receiving sweet, sweet music without having to be tethered to the MP3 player. Now that’s versatility. 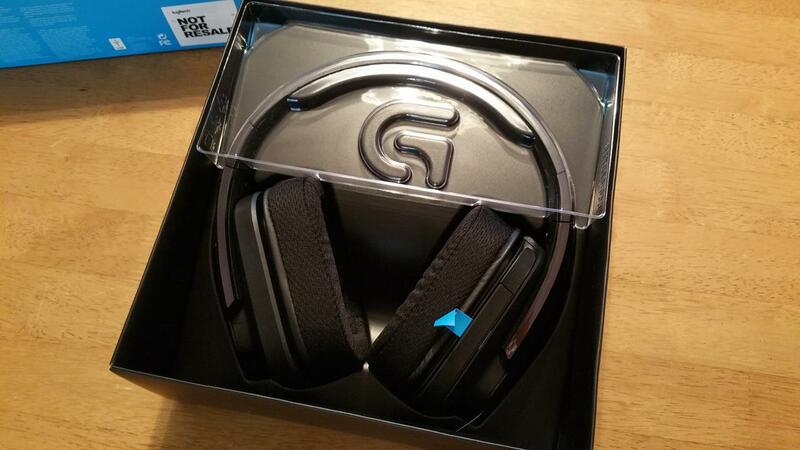 As the name suggests, Logitech added some lighting to this headset. On each outer back part of the earpiece, a strip goes from the bottom and up the back. The light strip can emit one of 16.8 million colors and there’s the ability to set an effect such as breathing or cycling. Each side also has a G symbol that changes color as well. If you have the color on, you can expect about two hours less in battery life compared to turning it off. As one who does enjoy color in some of my peripherals, coloring in a headset seems a little extraneous to me because you can’t see it at all. If you are trying to match all your products, then the G933 would go with one of the Orion Spectrum keyboards and Spectrum mice. 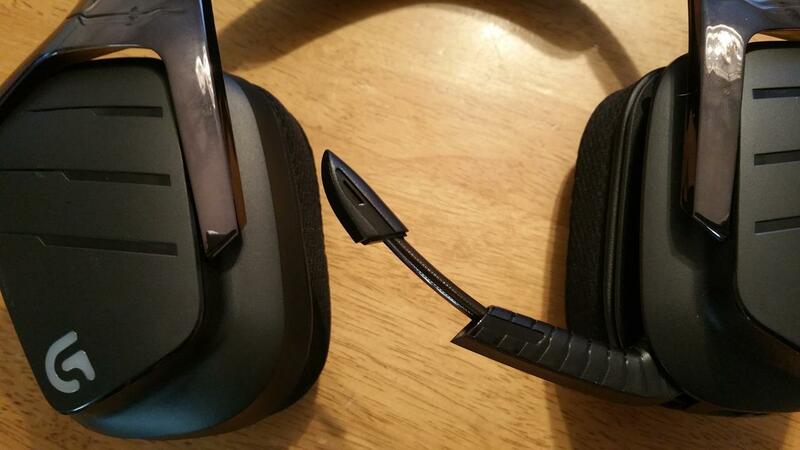 I feel the lighting is lost on a headset though but at least you can turn it off and not use it if you don’t want to. Pulling off the cover on the right cup gives you access to the battery. 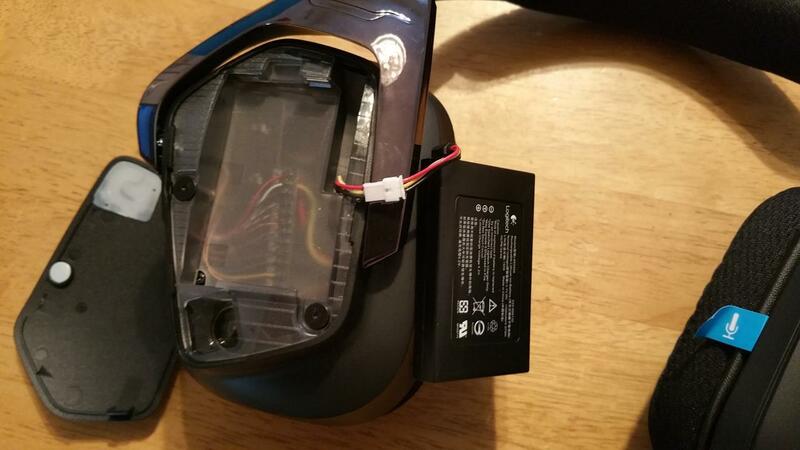 It’s not common replaceable battery, but there could be some replacements that Logitech can sell that will allow you to switch it out should the battery start to not hold its charge well. While not a well publicized feature, this is a nice option to have. Charging is done via a microUSB cable connection on the bottom of the left cup. On a full charge, you can expect about 12 hours of usage out of it if you turn off the lighting. Turning it on will net you about 8 hours. Overall, not too shabby, but best remember to charge them each time you use them. The headset does go to sleep after 5 minutes of idle, but you can tweak this with the latest firmware. When it first came out, there were many complaints about this, but it’s good to see Logitech fix this not too long ago. 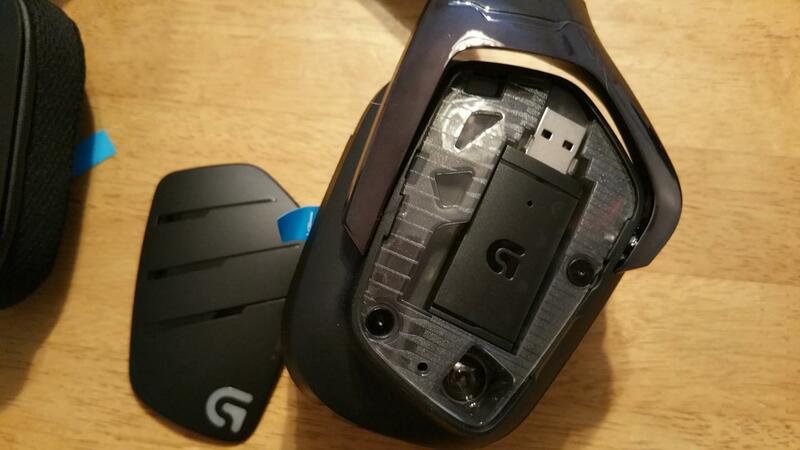 Should your G933 be out of power, you can use the included 3.5mm cable and plug it into your computer and then into the bottom of the G933. It will still work minus all the bells and whistles. That’s another great thing about this headset as I’ve had a few with inputs that don’t work unless there’s power to the headset. Here, the G933 works and does an admirable job without electricity. 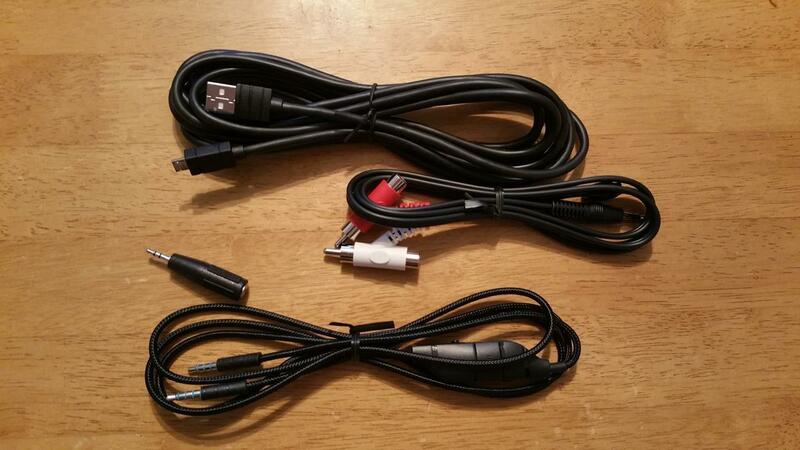 The included cable includes an inline control as well as another mic. It’s not as loud or clear as the boom mic, but can be used as another option. 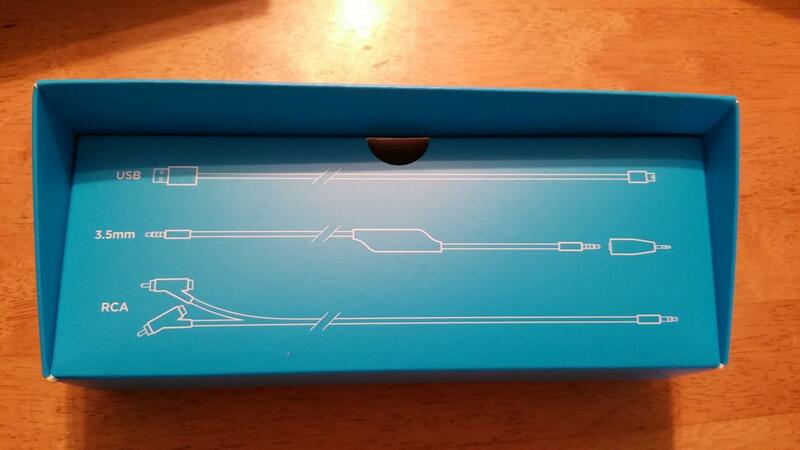 Included in the packaging are connections for consoles. 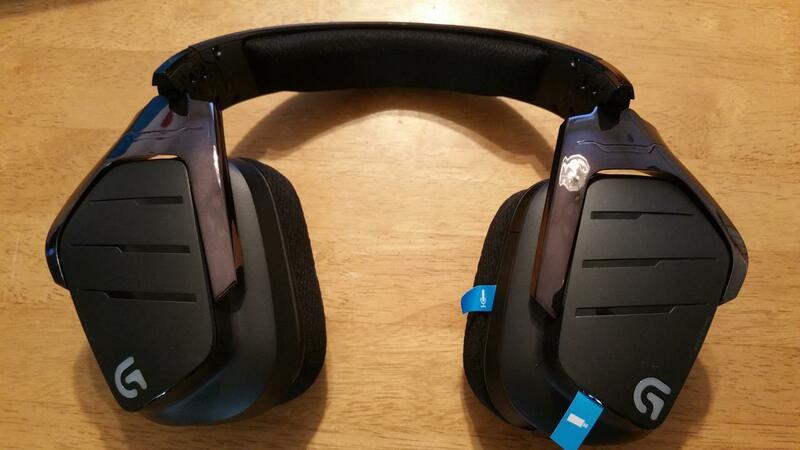 The Logitech G933 Artemis Spectrum not only works with your PC, but the Xbox One and PlayStation 4 as well. Logitech’s decision to bundle the necessary cables for those consoles really helps make this headset suitable for those with multiple setups. So how does the G933 sound with games and music? Pretty damn good I have to say. First up, all the games I played sounded extremely well. The G933 does simulated 7.1 via Dolby and DTS, but I have never been able to really get a good feel for surround from headsets. It’s tough for me to hear if a sound is coming from behind me, but anything from the side to the front is pretty distinguishable for me. Firing up various games, the G933 was just superb. Hearing individual footsteps, bullets firing, spells being cast, the G933 was able to clearly produce the sound at a wide range of frequencies. Movies also did well with dialogue coming through clearly while special effect sounds blasted loud and clear from each driver. Paired up with the included mixer, you can adjust the sound to your liking. It’s one of the better headsets I’ve used and for the past few months, it’s the one I keep going back to for gaming and for conference calls. The retractable boom mic performed pretty good as well. My colleagues said I sounded loud and clear. It is rather easy to mute the mic and I found myself talking and wondering why no one was hearing me only to see the little red light in my peripheral vision with the mic slightly in the up position. Overall, the mic was solid and my friends were able to hear me at all times. Range seems pretty good and it’s rated for about 50 feet away. I was able to get pretty far from the source, one floor above, and still hear things clearly. As for the 12 hour battery life without the lighting effects, that seems to be pretty accurate. Both range and battery life mileage will vary depending on your conditions, of course.